3,478 miles of harbors, inlets and bays define Maine’s exceptional coastline. The intermingling of wispy fingers of land and water adds up to a mythical beauty that can be enjoyed from many vantage points. To fully appreciate the majesty of this rugged scenery, you deserve to see it from the water. Windjammers are an authentic slice of New England’s maritime heritage and sailing on one is an adventure that has remained much as it was centuries ago. 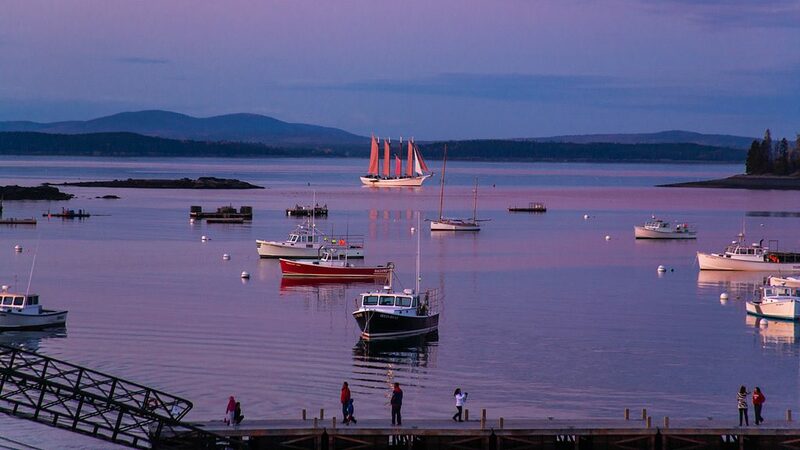 Experience seaside Maine’s salty nautical charm for yourself by booking a Windjammer cruise. Here’s the rundown. 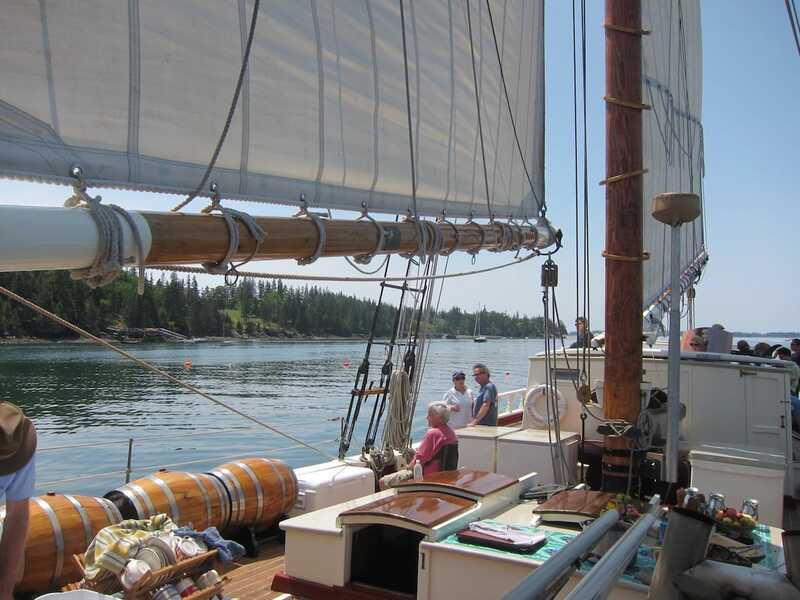 There are eight schooners in the Windjammer fleet with room for 21-40 passengers. Each enjoys a distinct flavor. I choose the Stephen Taber for its intimate size (22 guests), culinary accolades and the reputation of its charismatic young captain, Noah Barnes. The Stephen Taber initially launched in 1871 and is a tribute to 19th century craftsmanship. She is the oldest documented sailing vessel in continuous service in the United States. Captain Barnes, the second-generation of the Barnes family to helm her, first sailed aboard the Stephen Taber at the age of seven and has had a crush on her ever since. A talented musician (he’s in a rock band during the off-season), it doesn’t take much to persuade him to serenade passengers by the moonlight. All cruises depart Rockland from May-October and last between three and six days. In keeping with tradition, the course is determined by wind, weather and tides, so there’s no set itinerary. 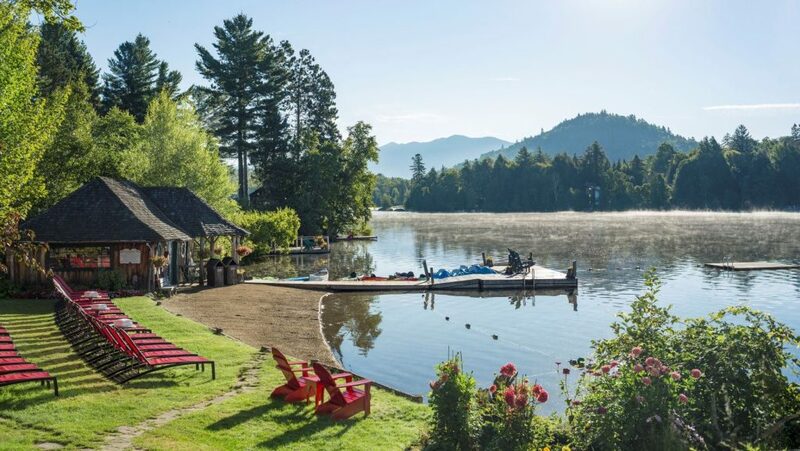 Though unstructured, do expect the breeze to take you to charming fishing villages, lighthouses, secluded swimming coves and several of Maine’s more than 4,000 remote islands. 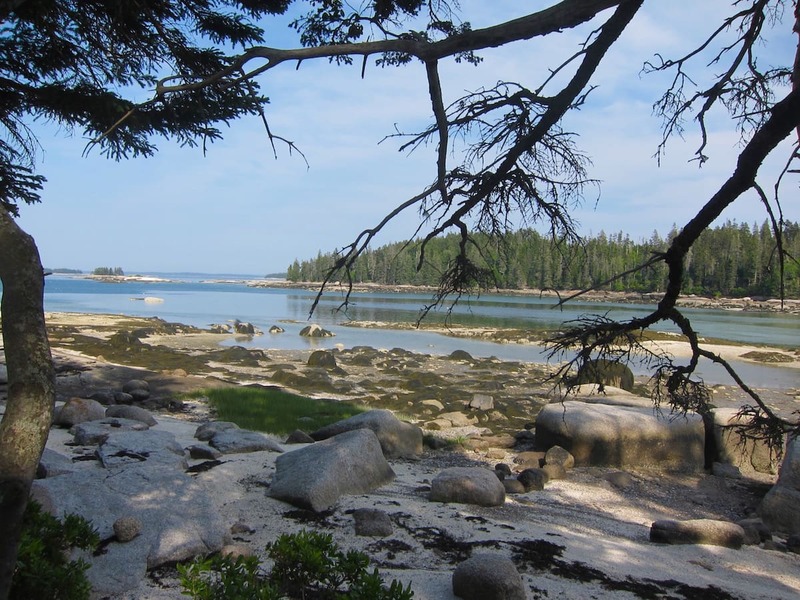 Hike, watch the lobstermen, dip in the chilly waters or collect wild blueberries. You’ll spot wildlife along the way, including porpoises and seals. When darkness falls, you’ll be treated to the night sky in all of its stargazing glory. The vibe on board is relaxed and free from pressure. The communal experience means conversation between passengers flows freely, but if you prefer to read or sketch quietly, you’ll feel equally comfortable. 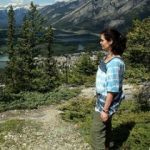 You are welcome to help the crew as much or as little as you like. For some, it’s an opportunity to perfect their sailing technique, while others just enjoy chilling on the open seas. If green travel is a priority, Windjammers provide one of the most eco-friendly modes of transportation around. These venerable vessels harness the power of the wind to forge ahead. While some have diesel engines to give them a boost, the Stephen Taber has nothing but a tiny yawl boat to help it maneuver in and out of tight harbors. On board resources are limited, so you’ll quickly learn not to waste precious water or leave a light switch on. Captain Noah thoroughly embraces the concept of environmental stewardship and strictly adheres to the “Leave-No-Trace” principle. He departs each island, beach or town cleaner than it was found, with deep respect for the pristine beauty of Maine’s unblemished coastline. The Stephen Taber is known for its food. 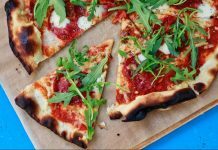 Chef Anna Miller turns out three scrumptious meals each day on the galley’s vintage woodstove. 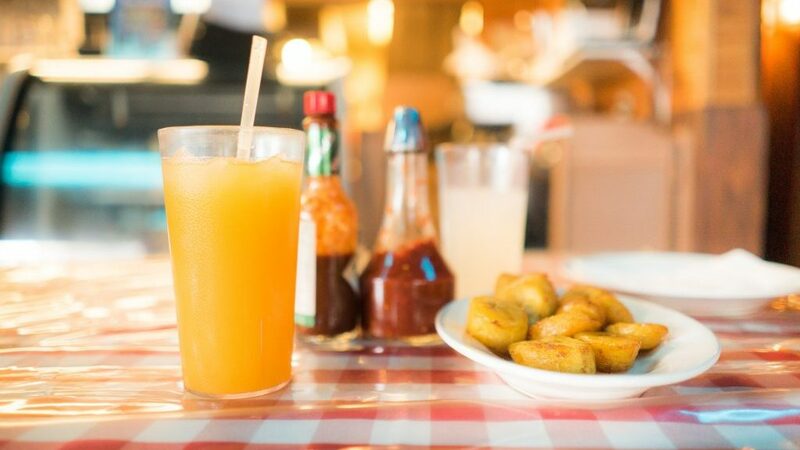 Every morsel is sourced from local purveyors and fishermen along the way. 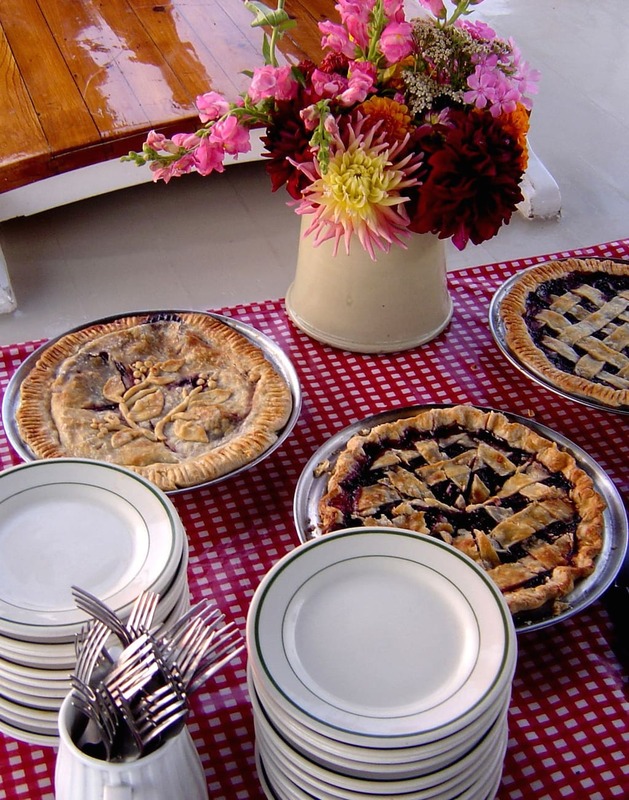 Each morning, you’ll awake to the smells of made-from-scratch baked goods accompanied by tasty treats like wild Maine blueberries, farm fresh eggs and flavorful sausage. Lunch is a hot soup, stew or chowder served with just-baked bread and a creative salad. 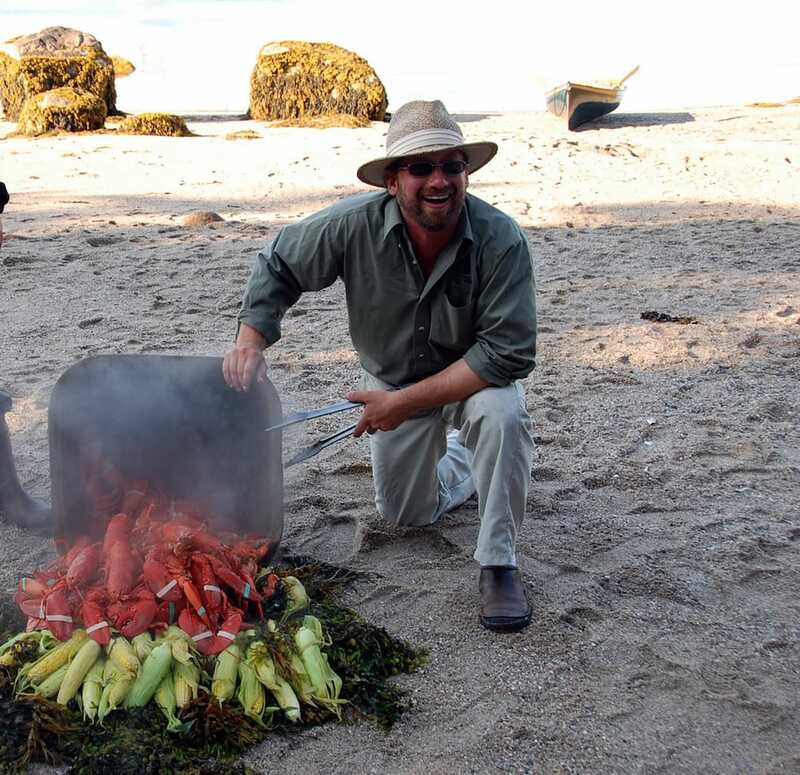 Maine’s clean, cold waters are loaded with gifts from the sea and the lobster bake dinner is sure to be the culinary highlight of your trip. The Captain’s wife Jane has worked in the wine business for nearly two decades and selects an appropriate red and white that flow bountifully each evening. Her oenophile expertise makes the Stephen Taber’s periodic wine-tasting trips extremely popular. Cabins are homey but compact. Each no-frills double and single berth has a cozy bed, sink and reading light. You share the two toilets (called heads) and hot shower with your fellow passengers on deck. The back-to-basics feel of a Windjammer vacation has nothing in common with an all-inclusive resort vacation except that everything (meals, wine and excursions) is included in the price. The only extra is a customary tip for the hard working crew at the journey’s end. Cruises start at $618 per person. How to get there: Ride Amtrak or Megabus to Boston’s South Station, where you’ll transfer to the Concord Coach bus. You’ll arrive at Rockland’s ferry terminal four hours later. Cape Air departs from Boston’s Logan Airport and will have you in neighboring Owls Head in 40 minutes. For more information, go to stephentaber.com and sailmainecoast.com. Sailing Aboard the Windjammer STEPHEN TABER from Antonio Tibaldi on Vimeo.